Pineapple is a great fruit and we love the fresh, tropical feel that it brings to the breakfast table. It’s a real ‘wake me up’ kind of fruit. While we can’t buy locally grown pineapples here on the Southern Maine coast, it’s versatile enough that you can use it from the can too. That makes these delicious muffins perfect year around! 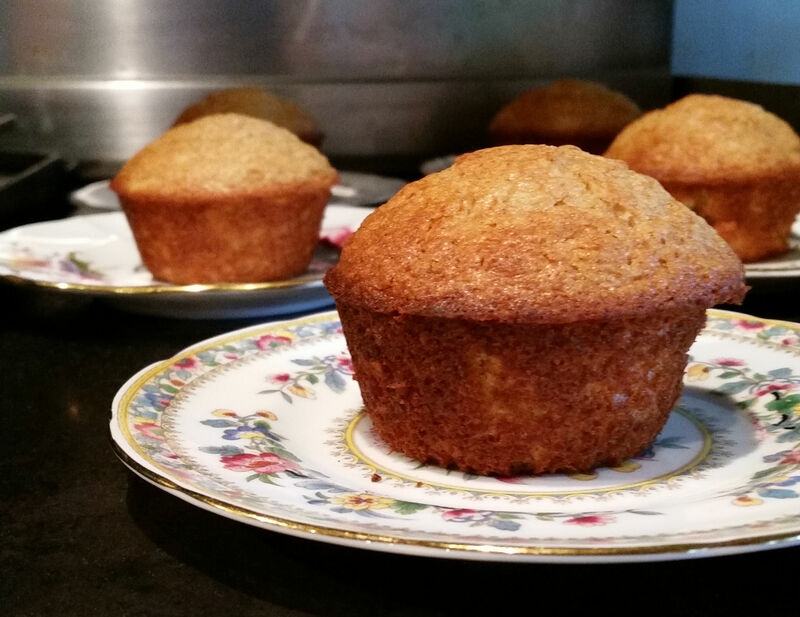 We serve a fresh baked muffin every morning here at the 1802 House so we are always on the look out for really good muffin recipes to incorporate into our menus. For some reason, I got the idea that a pineapple muffin would be a good addition. However, I couldn’t find a recipe that I liked so I have been working on tweaking this one for some time now. The guests tell me that we’ve got it right. Soft, moist muffins with just a hint of pineapple and cinnamon. This is one of our most requested recipes so here it is for you to make at home. Preheat oven to 375F. This recipe is easy to mix together by hand. Use canned crushed pineapple for this recipe. Drain the pineapple very well in a strainer and set aside. In a bowl, sift together the flour, baking powder, cinnamon and salt. In a large mixing bowl, whisk together the eggs, milk, oil, brown sugar and vanilla. Add the flour mixture to the wet ingredients and stir just until combined. Do not over mix. Fold the well drained pineapple into the mixture. Generously butter a regular size muffin tin. Fill each muffin cup about 2/3 full. Bake on 375F for 21 - 23 minutes. The muffins should rise and be springy to the touch when done with a light golden brown color. Let sit for at least 15 minutes to cool, remove and serve. Muffins can be stored up to three days in an airtight container.